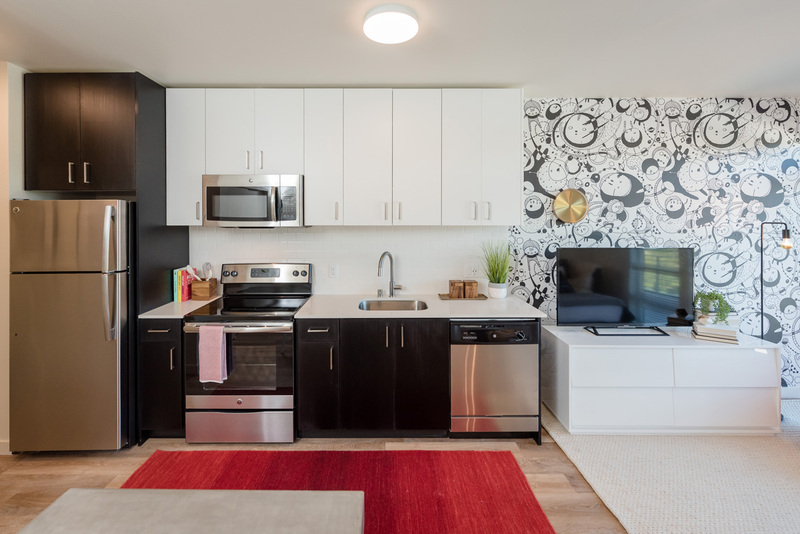 The project is a six-story, 42,695 SF, mixed-use apartment building with ground floor retail and parking. 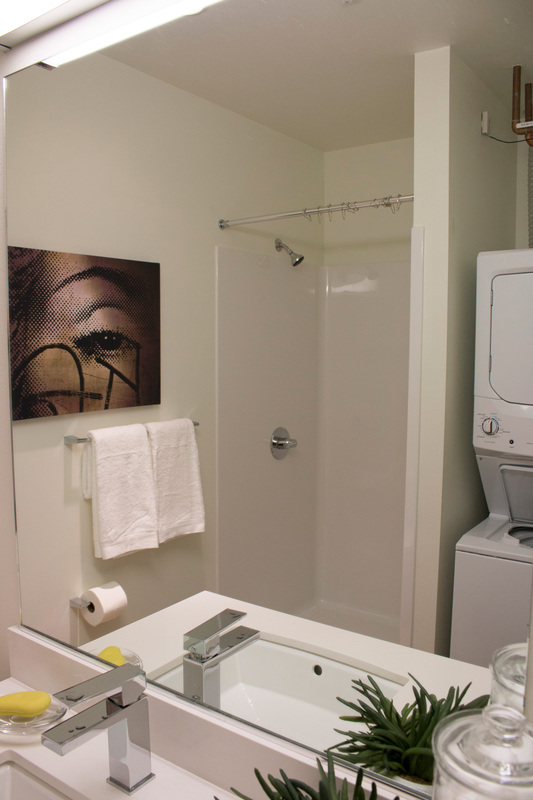 The sixty-six units include studio, 1-bedroom and 2-bedroom apartments that is walking distance to the University of Washington, University Avenue, and the future Sound Transit Station. 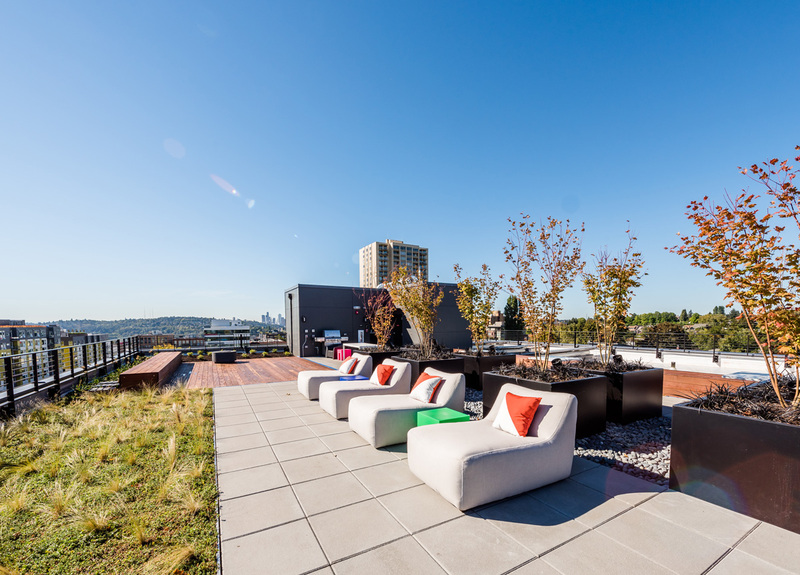 The modern building features multiple decks and a “green roof” that takes advantage of the beautiful views of Seattle and Mt. Rainier. The construction materials consist of concrete foundations and grade beams, up-sized utility service for new underground utilities, concrete slab on grade and shear walls to a new post-tensioned concrete podium. 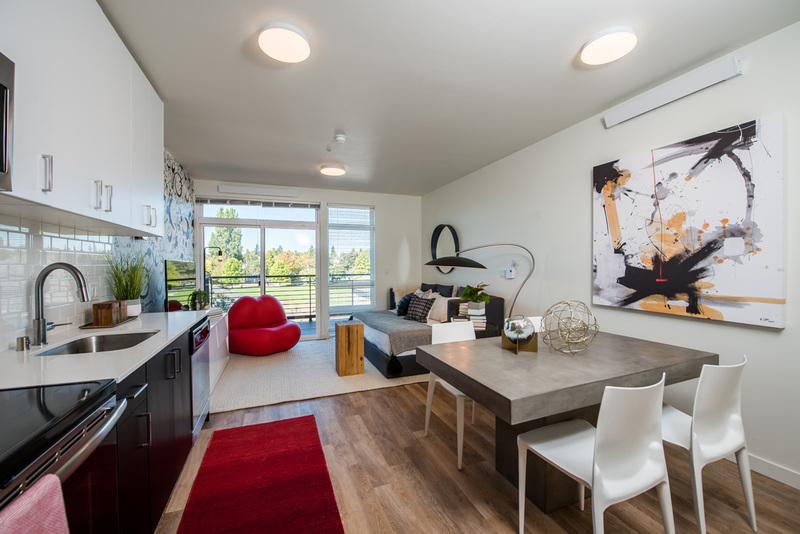 Floors two through six are constructed of wood framing with panelized siding, glazed windows, and metal deck railings. The rooftop patio consists of a roof garden, fire pit, and BBQ. A solar PVA array provides renewable power to supplement the building’s energy demand. The project is pursuing Built Green certification.